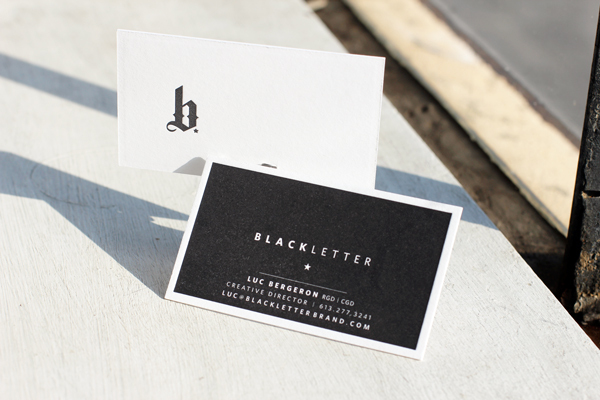 We’ve been printing a lot of cool letterpress business cards of late, not the least of which is these sweet cards we printed for Blackletter. 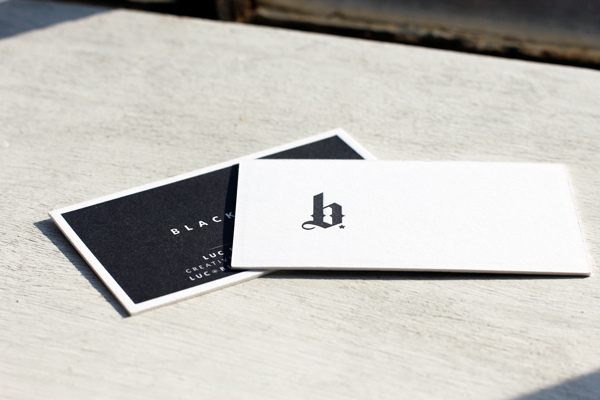 They feature a great letterpress flood printed in black, offering sharp contrast to the bright white paper and perfectly setting off Blackletter’s simple, typography-loving branding. This entry was posted in Stuff We Print and tagged Blackletter Brand, Boxcar Press, letterpress business cards, letterpress fun, letterpress printing by cynthia. Bookmark the permalink.